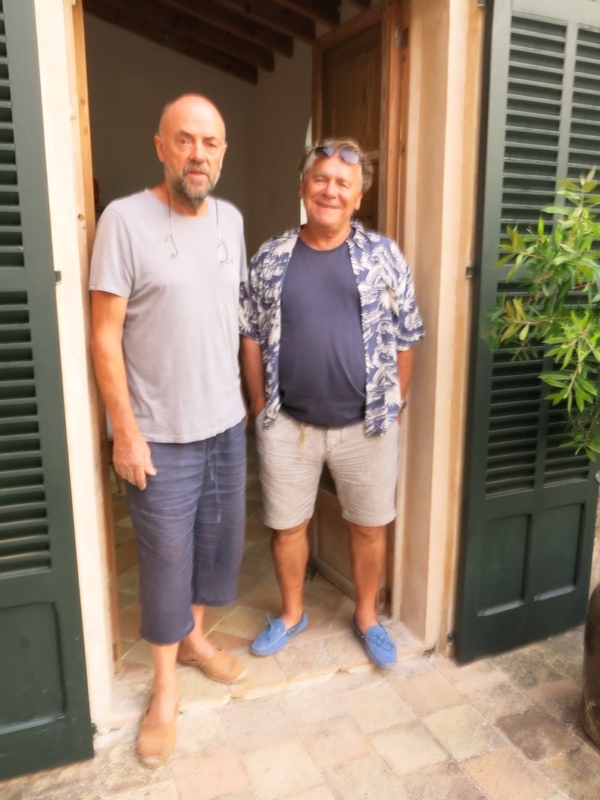 This is the main reason we are back in Europe again, to be here in Majorca for a good mates daughters wedding….which is being held at the Valldemosa Hotel in the town of same name. After a brief but very enjoyable 2 nights in Barcelona, we have now arrived on the island of Majorca. I was more than a bit apprehensive before we arrived, as lets face it, Majorca has had a bad reputation as a ‘package tourist’ destination, and the resort of Magaluf ( know locally as ‘shagaluf’ … I wonder why) is the worst of the worst. 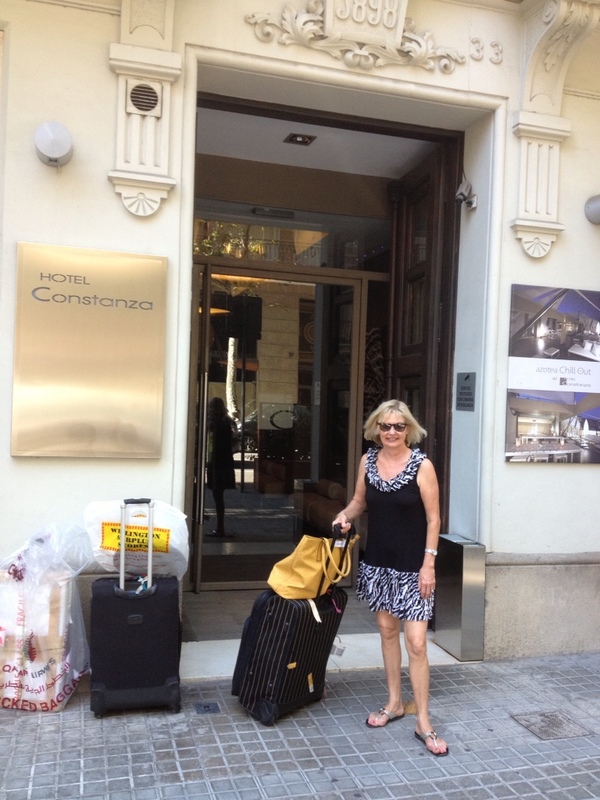 Waiting for our cab outside the Constanza Hotel in BCN. The large package to the left is what we are going to attempt to take onboard as ‘hand-baggage’. 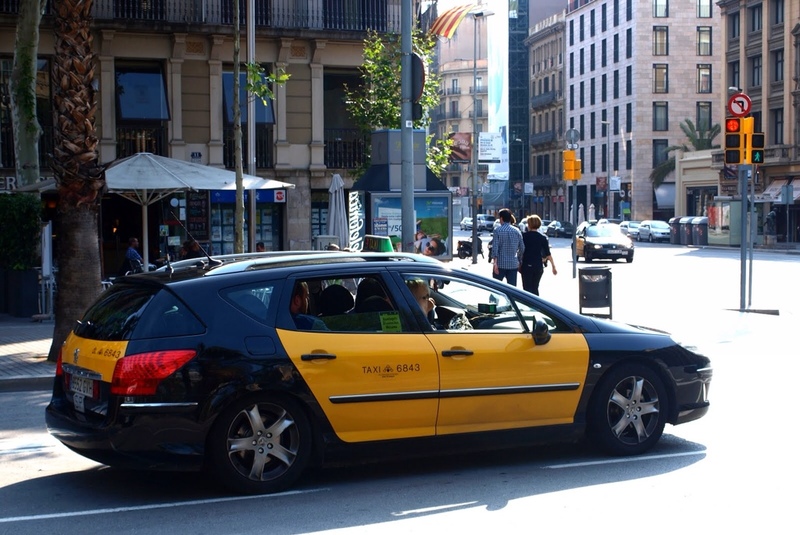 For the first few blocks, while driving in the city centre, there was no indication that we had a driver who was suicidal….. or intoxicated… or drug affected…. However, it soon became apparent he was probably all of that….for as soon as we’d got clear of the city centre and onto the highway, he put his foot flat to floor and took off like ‘ Fernando Alonso’, weaving his way between slower moving cars and trucks….cutting in and out…swearing….shouting…sweating… it was a nightmare….and I was in the front seat too… I’m sure that this prat made it from the city to ‘El Prat’ airport in a record time! Maybe they named the airport after him! On arrival he quickly jumped out of his cab, and helpfully fetched a luggage trolley for us and just as quickly moved all our luggage out of the boot onto trolley. This guy was fast! Probably expecting a tip I thought, and mentally calculated how much extra this ‘service’ was going to cost me….I needn’t have bothered! I looked at the meter, which had been ticking over quite nicely since we embarked, to check the price….. only to find he’d switched it off! ‘How much” … ¿Cuánto es eso? I naïvely asked, hoping my limited spanish would give the impression I was not to be ‘F#@*^ed with ? Not withstanding the fact that in Barcelona it’s ‘Catalan’ that’s now the official language, it made no impression on Speedy Alonso. “Quaranta-quatre!’ he replied, I bit too quickly for my piece of mind. 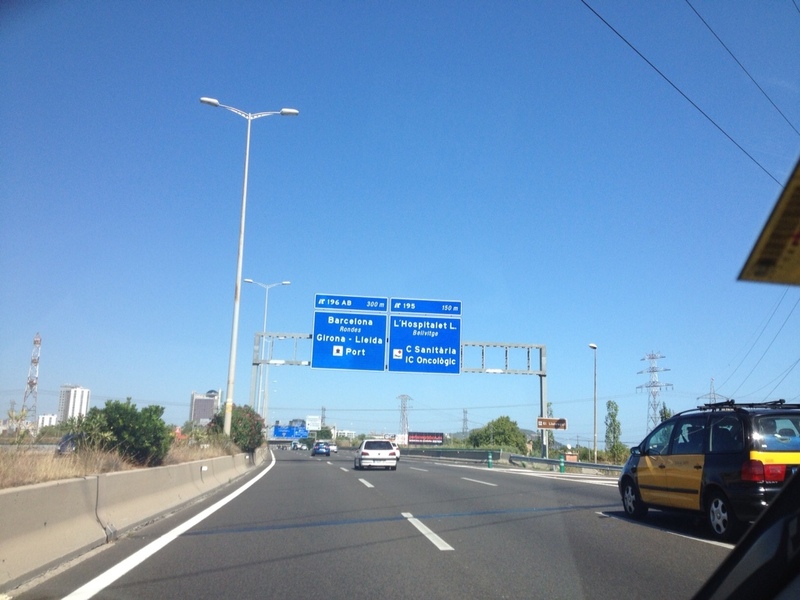 “Fourtyfour” I replied, ” are you loco?” I knew from past experience that the average fare from airport to Barcelona city centre is about 22 Euros, plus a couple of euros extra for your luggage, plus 2 euros airport surcharge, plus a tip… €30 at max. 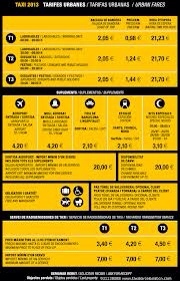 Does the cost double if you make the journey in less than half the usual time? As I didn’t want to pick a fight with an obviously amphetamine affected ‘Barca’, I thrust three €10 euro notes into his outstreched hand, and bade him a quick “bon dia” in Catalan. Before he’d had time to count it out YM and had scurried inside to the safety of the airport departure hall! 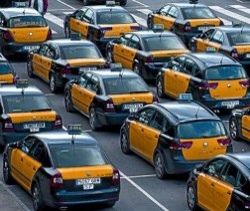 What is it about airport taxi drivers? Why do I always seem to pick a ‘pirate’….bad luck, or are they all the same? In Barcelona…in Athens..In Istanbul….in London…. is there a special ‘Academy’ they go to to learn the tricks of trade? 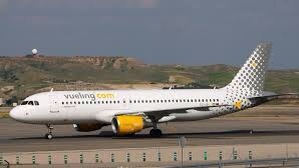 After a very short, uneventful flight over to island on Vueling Airlines, ( only 20 minutes actual in-the-air flying time!) we arrived 15 minutes ahead of schedule ( work that out!) and on arrival we hired a small ‘Seat Ibiza’ car from Avis and headed off out from the airport. 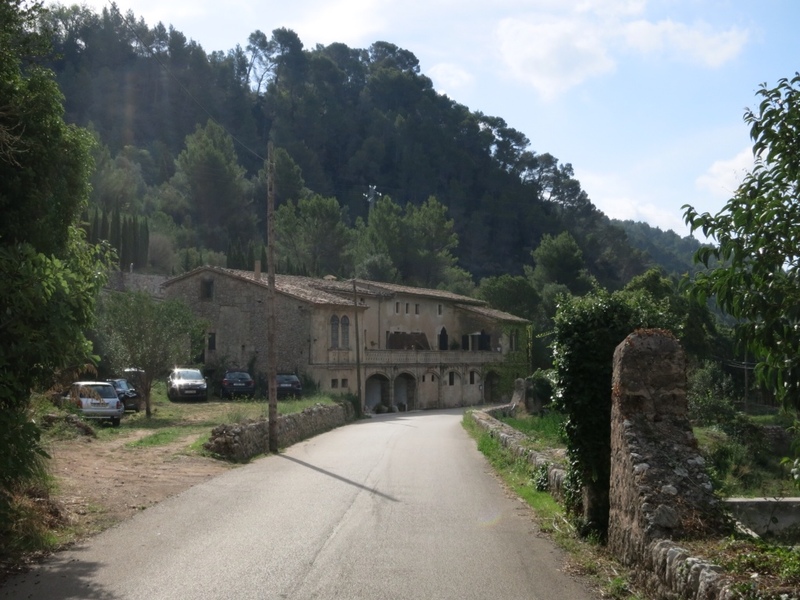 I had tried to buy a ‘simcard’ for my ipad, so that we could find our way to Valdemossa easily, but they didn’t sell them at the airport, and so more by luck than judgement, and without any map ( but with Yineka-mou navigating… what could go wrong?) 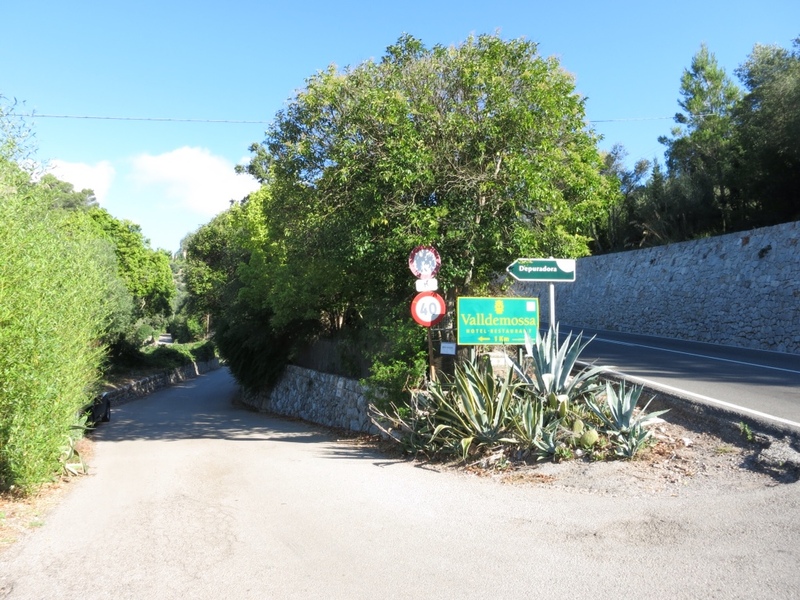 and after negotiating the freeways/overpasses/junctions of Palma ( Hey, this city is MUCH bigger than I’d ever imagined) we actually found ourselves on the correct road leading up to Valdemossa, ideally situated in the hills way up above Palma Majorca. 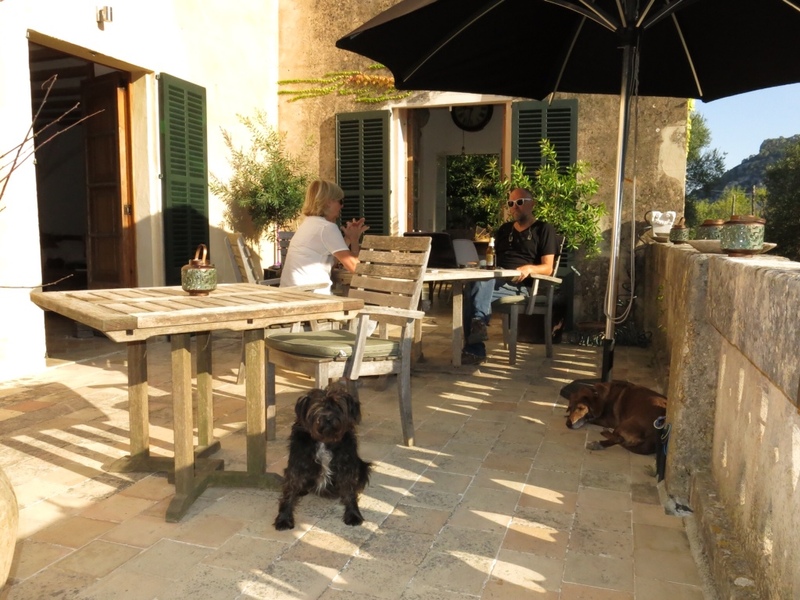 On the terrace with Michael and YM, and the two dogs. As soon as we had settled in and unpacked ( we are here for 5 nights ) we left the car at Son Viscos and walked up the hill about one and a half kilometres into the town for a meal. Oddly enough, we didn’t meet any of the other weddingguests during the evening, even though there were plenty of them coming to Valldemossa for it. After a very quiet pleasant dinner ( Paella of course, and a bottle or two of Rioja,,,, this is Spain) sitting outside in Sa Mata restaurant near the town square, we made our way back towards our Hotel. Right on the outskirts of town there is a Cafe/Restaurant named Cappucino, and who should we bump into there but our good friends from Australia P and C, who’s daughter is the one getting married. After a further drink our two with them ( not cappacino’s either) we headed off down the hill. It was a seriously dark moonless night, ( dark as the inside of a black cow? Yes, that dark!) 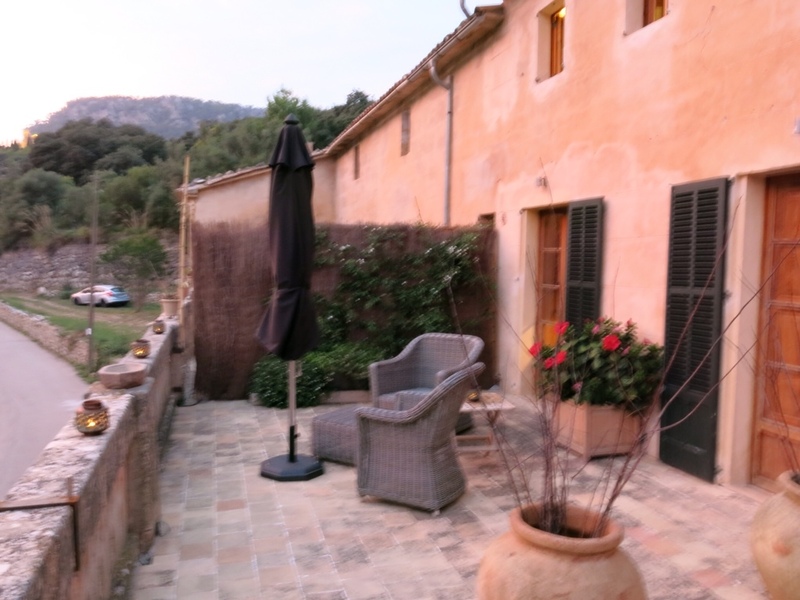 we could have done with a torch, as we stumbled and fumbled our way down the steep, winding narrow street, hoping we were on the right track, but after a few wrong turns we made it back OK. Out on the verandah at Son Viscos, the place was lit up by candlelights…. very romantic. 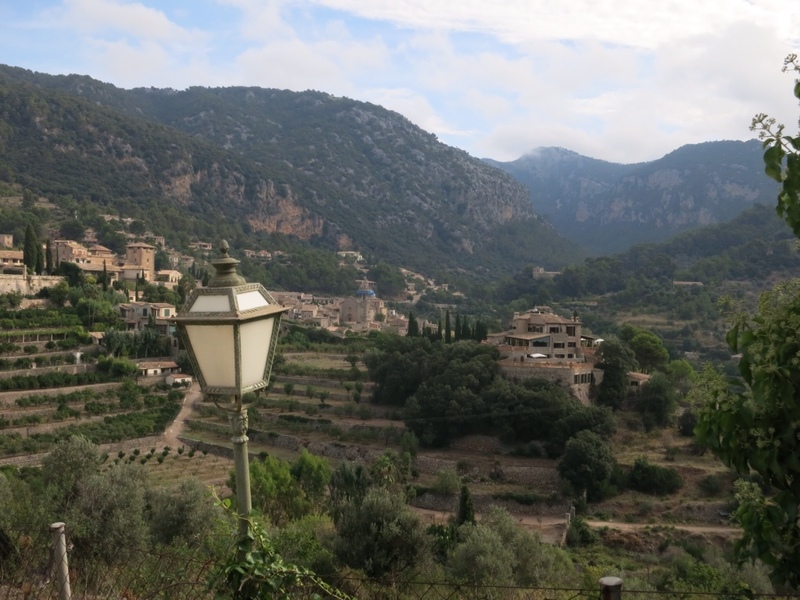 So far, I really like Valldemossa, it’s nothing like I expected Majorca to be, thank goodness.